In every baseball comic book, there is that one guy who not only looks hot, but also so talent that he puts all the other players to shame. Everything about him just screams perfection from the way he looks in his baseball uniform to the way he walks. But sadly, it is incredibly hard to find a guy in real life who looks stunning in his baseball uniform, let alone a man who has both of those qualities. That is because, one must possess the three following things in order to crush their baseball uniform―insanely long legs, tiny face, and wide shoulders. Not everyone can meet those terms but when they do, their allure gets tripled the minute they put on a baseball uniform. 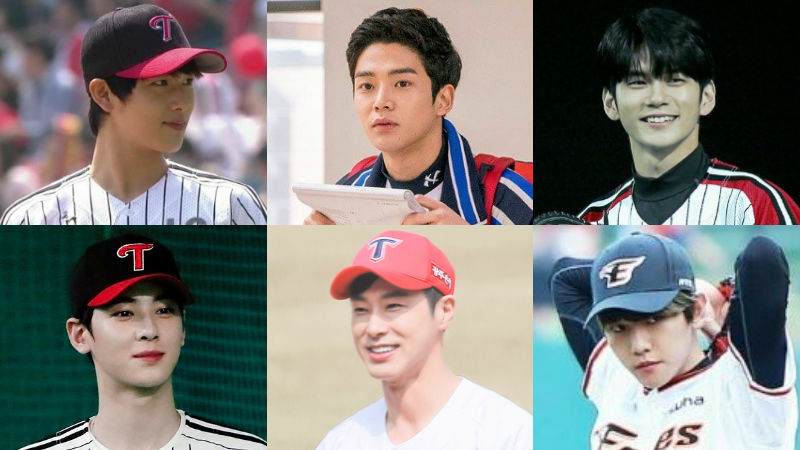 Let's take a look at these six K-pop artists who fluttered the hearts of everyone with the picture of themselves in a baseball uniform! 5. U-KNOW Yunho of TVXQ!